Every girl wants her wedding to be unique. 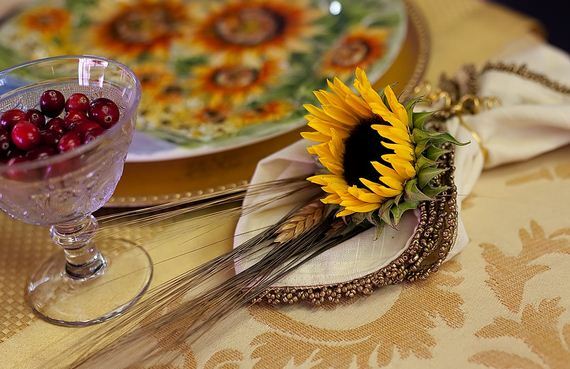 The sunflower wedding is a great idea for people who want to impress their guests and to make a great photo session that creates an enduring memory. 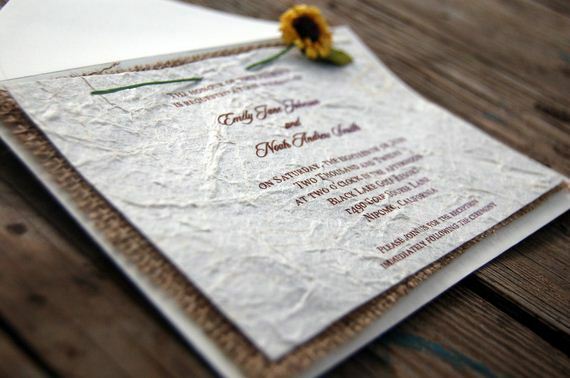 Such a wedding will look fresh and sunny. Sunflower blooms can be seen throughout much of summer and fall, so choose the date during this season. 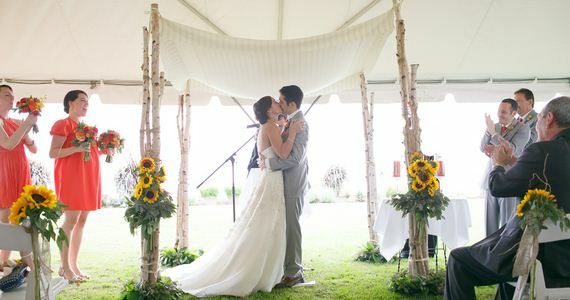 Take a look at the most interesting ideas for a bright wedding. 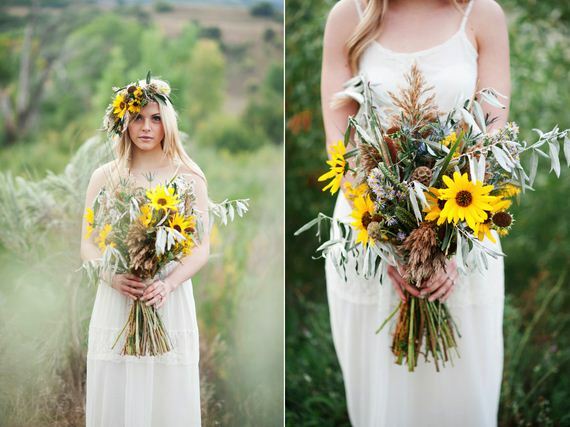 It can be a simple sunflower bouquet, just 5-7 sunflowers. If you want something more interesting, you can add other flowers and decorations: lush greenery, peonies, small roses, feathers, ribbons etc. You can make a bouquet on your own, it’s simple. There is only one condition: sunflowers everywhere! No, it’s not too much. These flowers will create a cheerful atmosphere. 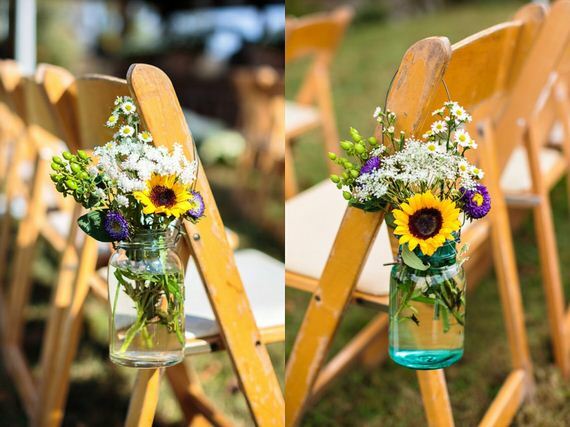 Sunflowers are perfect for an outdoor wedding. 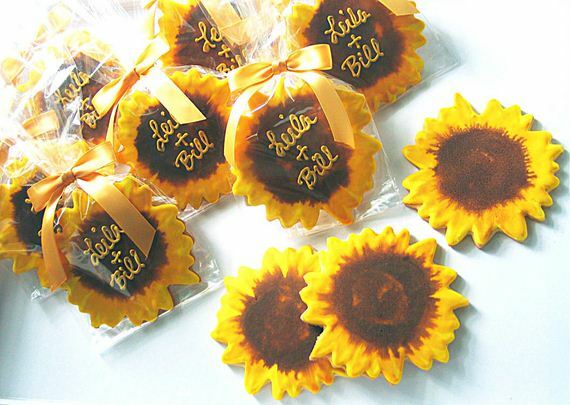 Put them in little vases (or just bottles) and place on every table along with candles, you can choose yellow ones. 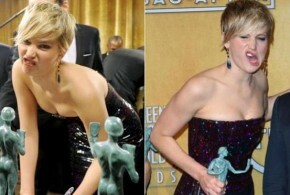 There is no need to wear a yellow dress or buy a sunflower print dress. It’ll be too much. You need to add just a little detail connected with these flowers. Small floral headbands will fit great and the bride will look tender. 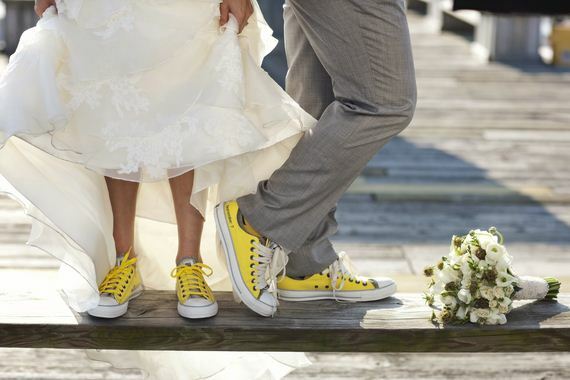 Choose pretty yellow heels or grab a pair of Converse shoes. Be more creative! If you want something simple – put a sunflower on a dress and that’s all. 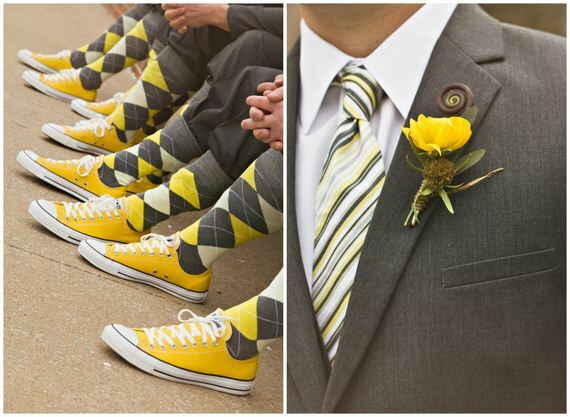 A small sunflower on his suit will look perfect. 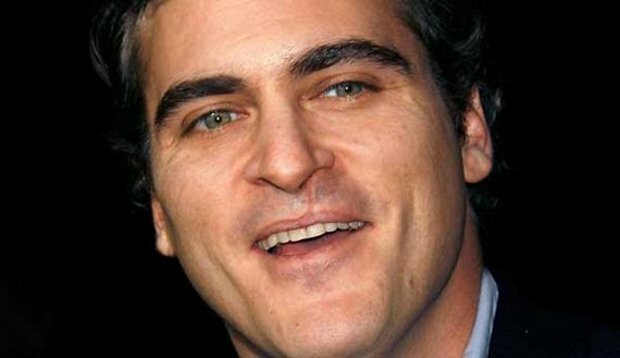 Another idea to improve his look is a yellow tie or bow-tie. Yellow shoes will be great too. You can make a great surprise for your guests after a wedding and thank them in this way. 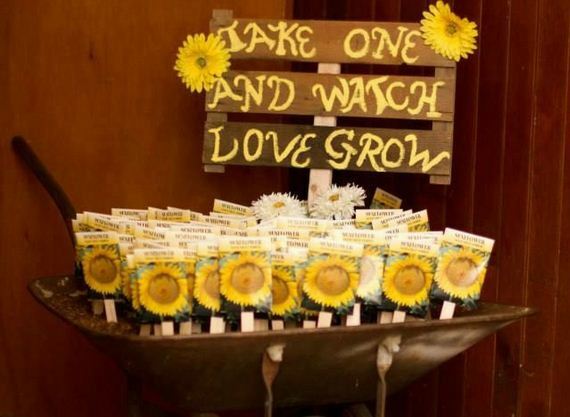 Just give every guest a packet of sunflower seeds and ask to plant their own summery blooms at home. They will remember your wedding for a long time. Such a present is a good memory. 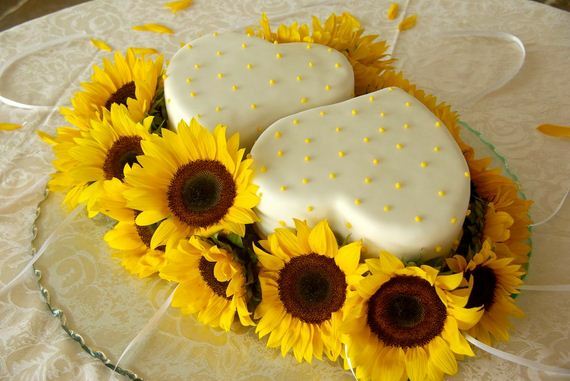 Of course the cake should be with sunflowers for this kind of a wedding. If you prefer something more simple – you can order just a nice yellow cake. 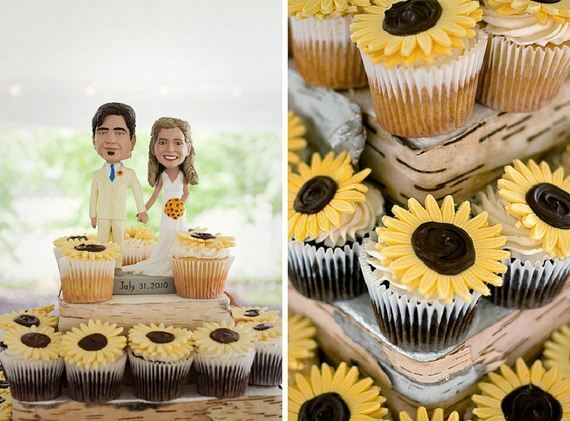 Cupcakes are a good alternative for a wedding cake. This dessert is really popular now. 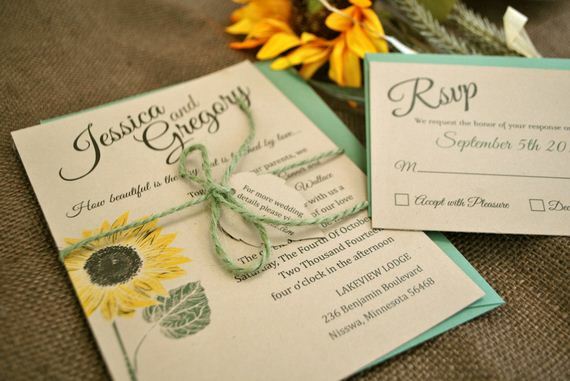 You can put a little sunflower on every invitation. 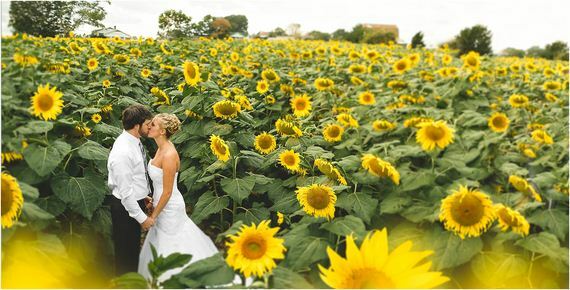 Make a real flower wedding, put sunflowers everywhere they can look beautiful. Wood and hay will be great as decorations. 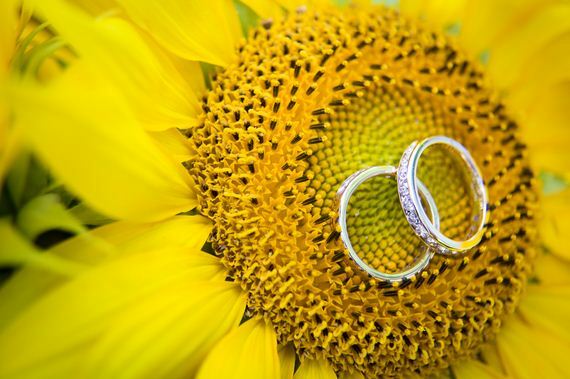 The last and maybe the most important reason to choose a sunflower wedding. 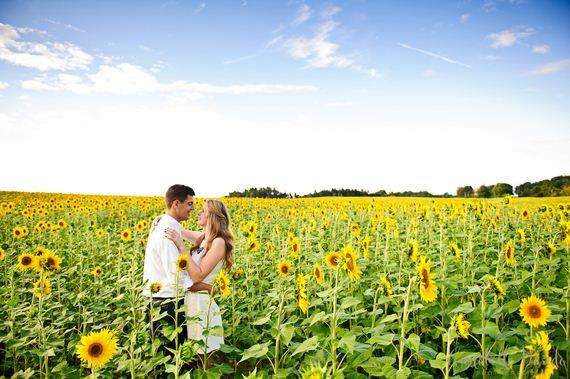 You will be a couple with the most unbelievable photo session in a sunflower field. 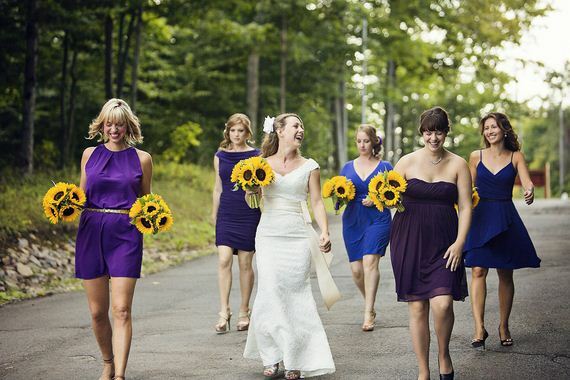 Take a look at these photos and no doubt, you’ll think seriously about this kind of wedding. Next The Best Ice Cream Recipes to Beat the Summer Heat!